For a late night slice of cake (baked vanilla cheesecake is highly recommended), or some Eggs Benedict to start you on your day, The Wolseley can be relied upon to satisfy your needs. With high vaulted ceilings, pillars and Florentine inspired architecture it makes for a sublime dining experience, whatever the occasion. 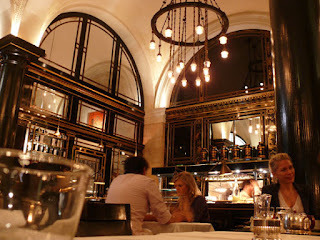 The Wolseley is open Monday to Friday 7.00am to midnight, Saturday 8.00am to midnight and Sunday 8.00am to 11.00pm. Forman’s Restaurant have teamed up with Ronnie Scott’s and Maddox Club for 17 nights during the Olympics to offer a pop-up experience just 100m from all the action. The Forman’s Fish Island Riviera is a beach club with palm trees, beach volley and cocktail from the Maddox Club beach bar. The beach club is open from 11:30 am until 2am and the entry costs £25. It is also possible to see an art exhibition, In the Rings with Ali, featuring photographs, memorabilia, audio and video installations, text and poetry in celebration of the boxer Mohammad Ali, who celebrated his 70th birthday this year. 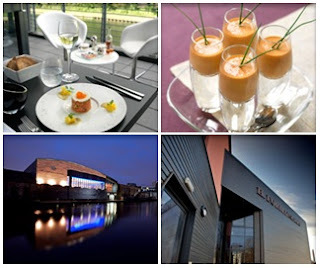 Breakfast packages from £75, lunch from £150 and dinner from £225. 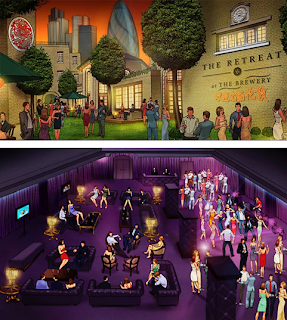 The Brewery in East London will host a pop-up over the summer called “The Retreat”, just 5 minutes from Liverpool Street Station. It will be transformed into 6 uniquely themed areas. Daily membership is available from £294, which will include all the live action on big screen, unlimited fine food and drinks (after 9pm drinks in The Club only charged on a cash basis), evening entertainment with presenters, personalities, music and bands, free Wi-Fi, pampering area for massages, manicures and treatments. The nightclub goes until 2am. A membership for all the 17 days is also available. 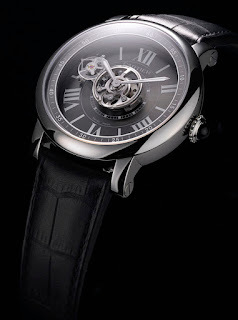 The Cartier Astrotourbillon Carbon Crystal Watch was born from the Cartier ID One Concept Watch which was announced in 2009. The Cartier ID One and ID Two concept watches were never meant to be marketed despite the years of research and all the investment that went into making them. The piece uses some of the technological solutions tried and tested in Cartier ID One: the niobium-titanium case, carbon crystal components, and the adjustment-free and lubrication-free pallet and escapement wheel. 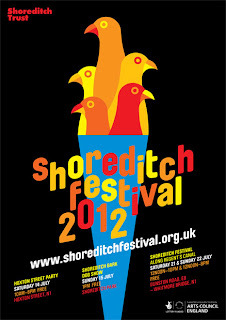 The 11th anual Shoreditch Festival is almost over but why not enjoy the last weekend of this amazing event? The Festival works in partnership to deliver high quality performances and imaginative which are bold, creative and engaging. For this last couple of days, Saturday 21st and Sunday 22nd, the Festival will be at Dunston Rd to Whitmore Bridge, from 12pm to 10pm. Shoreditch Festival culminates in a fantastic weekend of live music along the Regent's Canal as Hackney welcomes the 2012 Torch on 21 July at 4pm. Auction house Christie’s is launching its first online-exclusive wine sale that’s expected to attract bids as high as $35,000 for rare fine wines that include names like a 1982 Château Lafite-Rothschild, Château Latour and Montrachet. The online-only auction dubbed Signature Cellars will include a curated collection of 300 bottles that range from top Bordeaux and Burgundy to rare Bandol wines in France and the Napa Valley. The sale, which opens in August, will be the first in a series of online-auctions which will run parallel to the company’s traditional on-site auctions. Last year, Christie’s also held an online-only auction for a collection of Elizabeth Taylor jewelswhich fetched €120.7 million in sales. 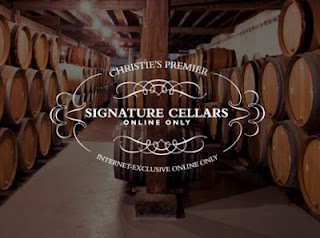 Bidding for Christie’s Signature Cellars opens August 6 and closes August 20. 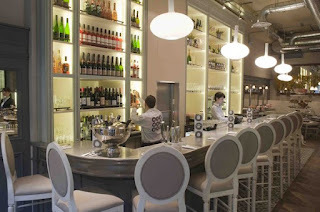 Aubaine’s most recent opening is on Dover Street in Mayfair, ideally placed for the shops on nearby Bond Street. Described as a “contemporary French Provencal bistro, boulangerie and patisserie”, the restaurant’s all day menu features a mix of Mediterranean dishes. FoodiesFestivalcomes to Battersea Park this summer - a three day food festival showcasing fine food, drink and culinary talent. The festival joins a line up of seven Foodies Festivals taking place across the UK. 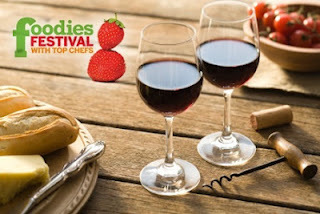 With over one hundred exhibitors offering local, seasonal produce and specialty food and drink, food lovers will be inspired to experience, celebrate and learn about the culinary arts. Highlights include Michelin star and top chefs cook signature dishes passing on hints and tips including Angela Hartnett of Murano, Gary Lee of The Ivy and Phil Usher of Le Caprice. Waiting for a taxi to pass on the street can be very romantic (or dramatic) in movies. But on real life is not practical and can be a real waste of time. 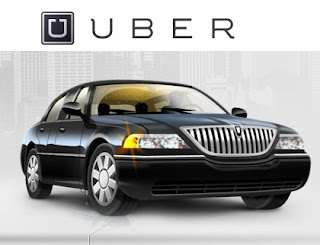 Just arrived in London, Uber Cars offers a quality service of private drivers. It can be requested from anywhere and in a few minutes a car will be at your services. Maybe not so classy but also very practical, Hailo offers an app for you to get a black cab wherever you are and whenever you want. Louis Vuitton helps you pack! Packing is always a nightmare? Louis Vuitton can give you some tips, such as folding 2 shirts at once to avoid wrinkling. U'Luvka Vodka is not a new arrival, but a revival of the legendary recipe especially created for King Sigismund III of Poland in 1606. 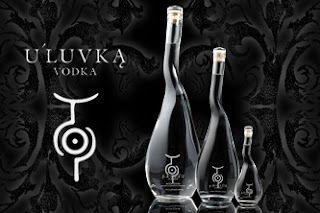 And since the global launch in 2005, U'Luvka has won over 25 international awards for 'Best Vodka', 'Packaging & Design'. But what makes U'Luvka Vodka really special is its distinctive smoothness and sublte spicy notes with a seductive creamy texture, which is enough to tickle the most elegant palates. 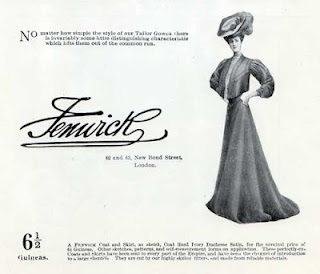 Fashion heaven in London's chicest street, Fenwick of Bond Street is five floors of fashionable clothes and accessories for men and women, plus lingerie and home accessories. The Beauty hall is an oasis of leading and new names, whilst the third floor houses a Personal Shopping suite and John Gustafson's Beauty studio. Carluccio's Cafe and Deli on the lower ground floor is the perfect place to relax. 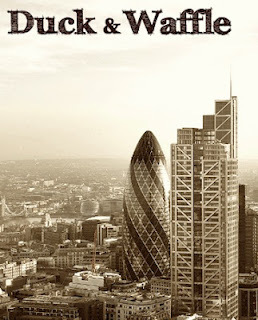 Duck & Waffle restaurant will open in August 2012 on the 40th floor of Heron Tower in London. The restaurant will serve European and British influenced cuisine 24 hours per day, 7 days per week, offering breakfast, brunch, lunch, dinner and late night menus. The restaurant will have a capacity of 98 with floor-to-ceiling windows, an open kitchen, a 24 seat chef bar and a private dining room. 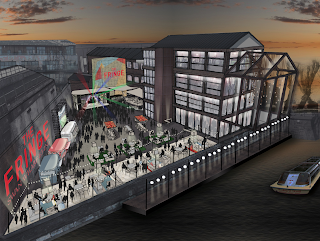 The head chef will be Daniel Doherty, who was previously at The Old Brewery at the Royal Naval College in Greenwich, The Empress in Victoria Park and The Ambassador on Exmouth Market. The Fringeis a unique pop-up members club, just 100 meters from the Olympic Park. Fully zoned with quiet and busy areas, fabulous food, WIFI coffee lounge, reserve brand cocktails bars and of course large screen video relaying all the Olympic action. The ultra-luxurious penthouse is positioned as the ultimate Olympic after party. 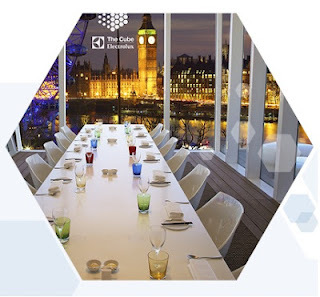 THE CUBE, a mobile pop-up restaurant designed to appear semi-transparent from the outside, is in London until September 30, providing diners a view of the Thames and Westminster from atop the Royal Festival Hall. Cooking in the mobile restaurant pavilion are Michelin-starred British chefs like Sat Bains, Jonray and Peter Sanchez, Scottish Michelin chef Tom Kitchin, and Claude Bosi and Daniel Clifford, winners of Ramsay’s Best Restaurant 2010.